This fare applies to passengers over 14 yrs. Infants (0 to 4 years old) travel free with Peddells and must be included in your booking. Children (5 to 14 years inclusive) travel at half the full adult fare. Children 14 years and under must be accompanied by an adult (18 yrs +). 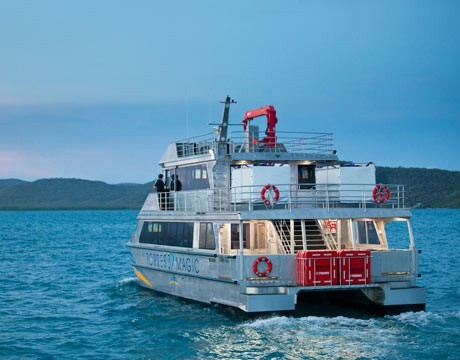 Please be advised we can only accept those cards on the current Qld Transport and Main Roads list of Approved concession cards for our particular ferry service. If you are unable to present a valid card then the full adult ferry fare is payable. If you hold any of the cards listed it is your responsibility to claim the concession at the time of purchase. This is not done retrospectively. For information on concession fare types and what cards apply, please click below to view the government provided information brochure. COMPANION CARD Please note the Companion Card is the only card also accepted on Peddells Thursday Island Bus Tour. Other cards only pertain to ferry travel between T.I. and Seisia.